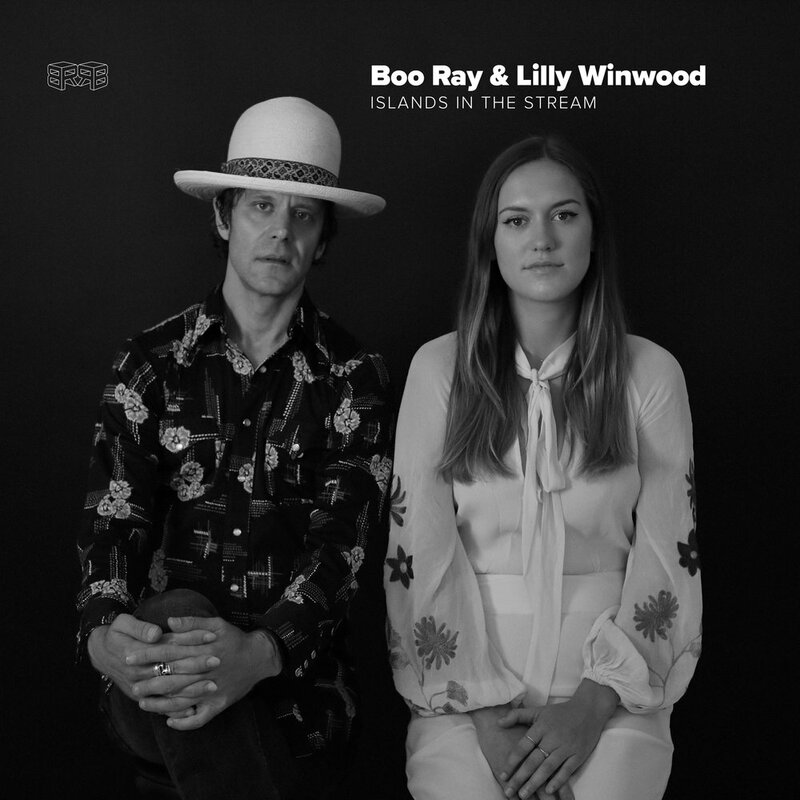 Nashville’s Boo Ray has teamed up with Lilly Winwood to pay tribute to the great Kenny Rogers as he continues his “Farewell Tour,” with their cover of the classic “Islands in the Stream.” This is a sneak peak into the 7inch duet series Ray is gearing up to release in partnership with Kindercore Vinyl later this year. Ray who christened the Kindercore pressing plant with the vinyl release of his album Sea of Lights last month is excited for the upcoming duets series, that in addition to Lilly Winwood features collaborations with Elizabeth Cook and celebrity chef Sean Brock. Kindercore is a unique new pressing plant with a mission to modernize the current pressing process by making it more sustainable. The Kindercore research and development team have taken active steps toward renewable PVC replacements, seeking to be the first pressing plant to offer petroleum free phonograph records in the coming years. By Boo Ray being the first artist to work with Kindercore he is hoping to set an example for that taking steps towards preserving the planet, can be an simple as working with forward thinking companies like Kindercore. If enough artists follow Boo’s lead collectively they can make a huge impact on making the industry more sustainable. Following the path of great southern troubadours Boo Ray forged & honed his sound on the road in South Georgia honky-tonks, Gulf Coast jukes, Nashville nightclubs & Los Angeles songwriter joints. Hailing from the mountains of Western North Carolina and now spending equal parts time in Nashville, Tennessee; Los Angeles, California; and Athens, Georgia. While living in LA, Ray struck up a fast friendship and found a kindred spirit in producer Noah Shain (Dead Sara, Escondido, Nikki Lane). The two collaborated on a few tracks that became Ray’s 2010 album, Bad News Travels Fast and reunited to create Sea of Lights. The album was recorded Shain’s White Buffalo studios in Los Angeles backed by an all star band that included Steve Ferrone on drums (Tom Petty & the Heartbreakers), Paul Ill on bass (Christina Aguilera, P!nk, Hole etc. ), Sol Philcox-Littlefield (Jim Lauderdale, Jake Owen, Aaron Lewis) on guitar, Dallas Kruse (Justin Grennan, Skylar Stonestreet) on Hammond B3, Smith Curry (Willie Nelson, Kris Kristofferson, Billy Gibbons, Kid Rock) on pedal steel, and twin brothers Todd and Troy Gardner (Lenny Kravitz) on backup vocals. The all-star line up recorded 10 songs in two days live to tape, using the same 2inch tape machine used to record Bob Dylan’s Nashville Skyline and several of Johnny Cash’s nashville albums. The sessions for Sea of Lights were the musical equivalent of getting a PHD from an Ivy League university, the knowledge from which Ray has channeled into the duet sessions. Next up is an original Holiday song with Elizabeth Cook that will be pressed to special edition color vinyl.